Maneka Gandhi has come up with vote share wise distribution of categories for developmental work in villages. 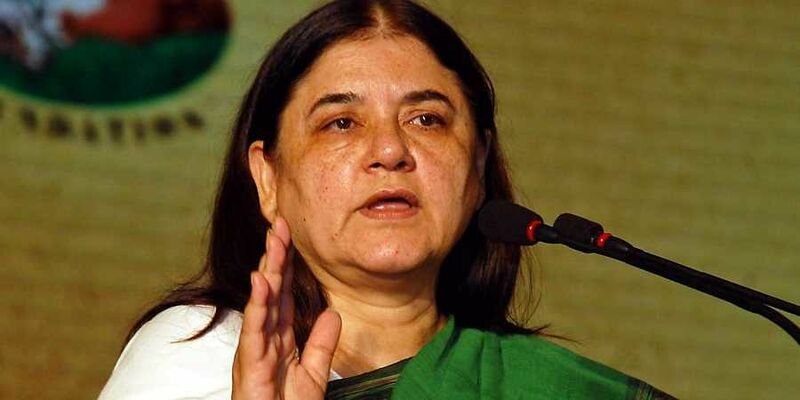 Union Minister Maneka Gandhi has once again stirred controversy when she announced a categorical approach to be followed after elections for rewarding the voters. As per an India Today report, Maneka Gandhi has come up with vote share wise distribution of categories for developmental work in villages. The villages where BJP receives 80 per cent of the votes to will come under A, those with 60 per cent will be placed under B. Similarly those with 50 per cent and 30 per cent come under C and D category. Based on the ‘ABCD’ category the priority of the developmental work will be decided. As per the category system, the villages will be prioritised for developmental work based on the category they belong to. The report quoted Maneka Gandhi saying that 80 per cent of the work will be done for category A villages, then 60 per cent for the rest of the people. Maneka Gandhi also added that party have implemented this category system in Pilibhit as well. Maneka Gandhi’s this category system poll promise came just a day after a video of her went viral on social media showcasing Maneka Gandhi telling a group of Muslims to vote for her or else they would not get job if she wins. Maneka Gandhi also said that she will win the Lok Sabha polls from Sultanpur with or without Muslim votes. Sultanpur will vote on May 12 for the Lok Sabha Polls. The polling for the Lok Sabha elections has begun and Phase polling has been done on April 11. Phase 2 polling is scheduled on April 18 to May 19. The counting of votes is scheduled on May 23rd. The remarks comes just day after her video of telling muslim voters that they will not receive any help if they didn’t vote for her went viral.